Laurel describes her blog thusly: "My blog examines the role of the poet in academic and nonacademic environs. I am using the recently introduced Ghost publishing platform." See what Laurel has to say, and what the Ghost platform looks like, on Does the Poet Choose to be a Boat? Northeastern Pennsylvania, like much of North America (but not most other parts of the Northern Hemisphere) is still in the icy grip of the dreaded Polar Vortex. Even though days are getting longer and the sun is gradually creeping up in the sky, days can easily become gray and gloomy under cloudy skies. (Ironically, the clouds tend to trap heat from the sun, so cloudy days can be less bone-shatteringly cold than clear and cloudless days!) NEPA Blogs co-administrator Gort has captured the gloom in this picture of houses near the park by the Polish Club in Hudson. Even the relatively fresh snow doesn't brighten the scene much! Who's ready for Spring to be here already? 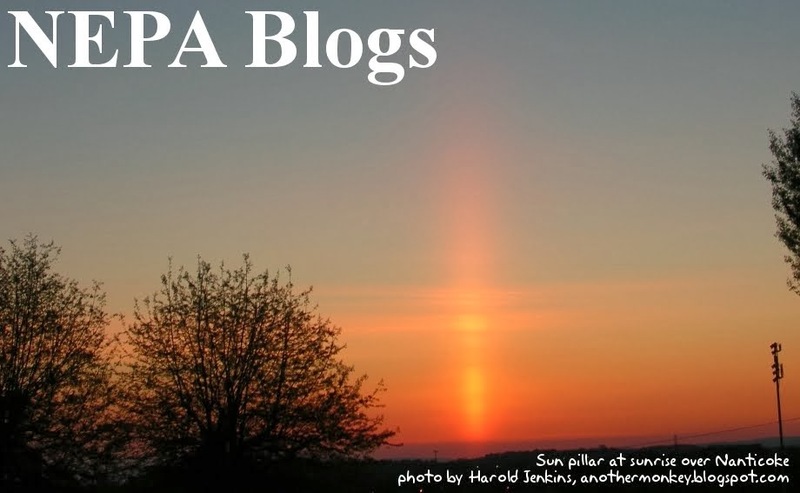 If you have an image of life in and around NEPA, we'd like to run it as the NEPA Blogs header. Send it to us at nepablogs@gmail.com! Many people know Conor O'Brien as the proprietor of The Vintage, the coffee house and art venue located at 326 Spruce Street in Scranton, which features music, poetry, visual arts exhibitions, theatrical performances, and artistic events of every sort. But fewer know him in his other aspects of performer, playwright, poet, and author - a collection of skills and avocations he summarizes as "Theatre Artist." On his self-titled Tumblr blog, Conor A. O'Brien, he shares these other aspects of his life through photos, articles, and the "hey, look at this" posts that are the basis for Tumblr. Conor shares some hit-and-run posts, but also includes some longer meditations on the past, the future, and the relationship between the two. Everyone has a story to tell, even people whose stories we think we know. Conor A. O'Brien is a good example of both a life blog - sharing the myriad aspects that make up an individual's life - as well as a personal branding blog, establishing an online presence waiting to greet anyone who asks the question "Who is Conor O'Brien?" What about you? What will people find if they try to learn something online about you? Nothing, perhaps? Or maybe something written by someone else? Why not take control of the information out there about you by being the person who is actually putting that information out there? If you're looking to do this, you can find an excellent model in the blog Conor A. O'Brien. This week's header photo is the first one supplied by co-administrator and political blogging specialist Gort of gort42.blogspot.com. It really shouldn't need an explanation...but just in case it does, this is a picture Gort took as he prepared to do some grilling not long after a snowstorm. Hey, who said grilling is just a summertime activity? Do you think our caveman ancestors only pulled out their grills in the summer? No, like Gort they fired up the charcoal and cleaned off the spatulas year-round! 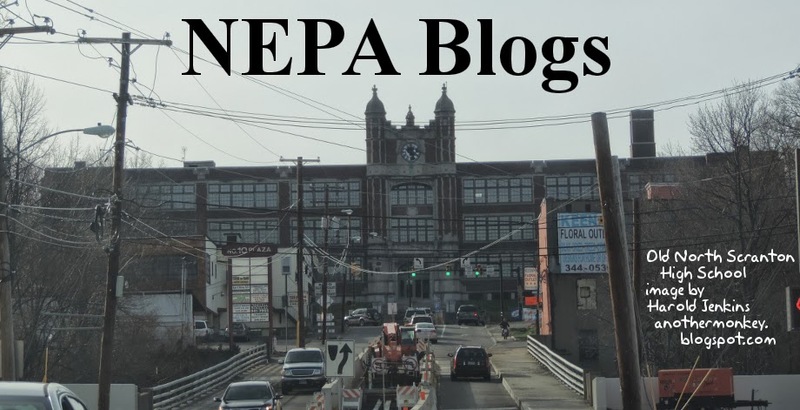 If you have a picture you'd like us to use as the NEPA Blogs header, send it to us at nepablogs@gmail.com! Thanks! This isn't the first time we've featured our own site as Blog of the Week. 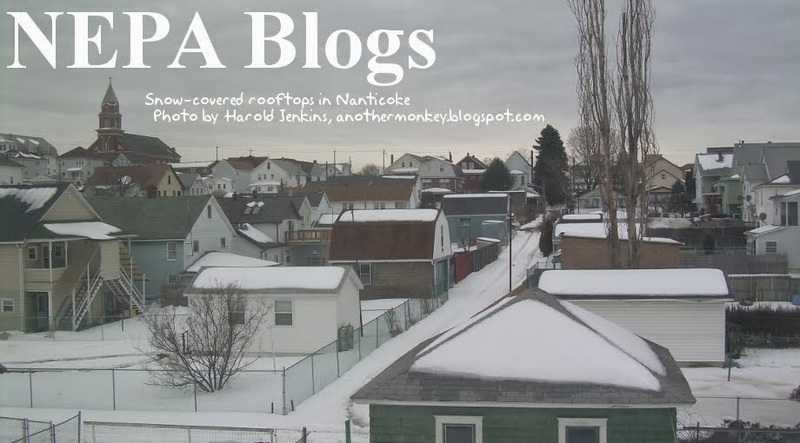 NEPA Blogs was actually the second blog ever featured, and would have been first if not for the Flood of 2011 making another blog the better choice that week. Since January 2006 NEPA Blogs has been dedicated to locating, listing, and linking every blog in Northeastern Pennsylvania, a goal at which we could be said to have failed spectacularly. Each passing week brings many new blogs about which we had previously known nothing, suggesting we will never manage to locate, list, and link them all! 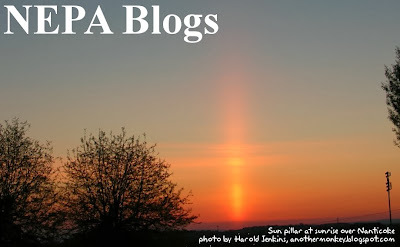 NEPA Blogs has had its ups and downs, and still we persevere - not unlike northeastern Pennsylvania itself. 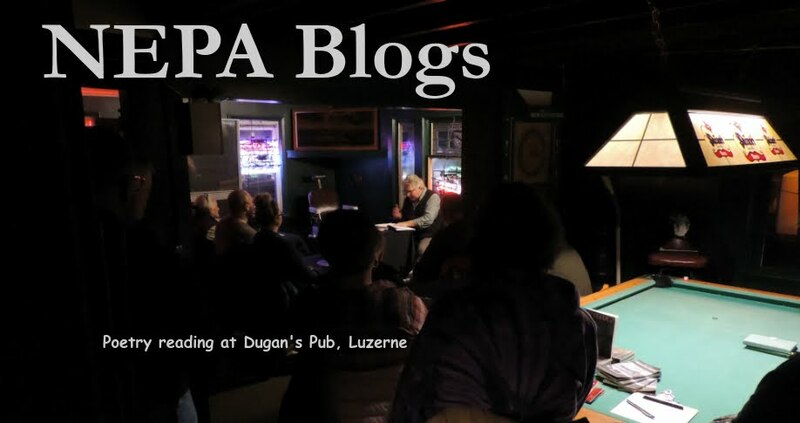 As long as there are bloggers in NEPA, from NEPA, or writing about NEPA, NEPA Blogs will have a role to play, and will continue to work to bring attention to these bloggers and their blogs. Keep on blogging - and keep reading NEPA Blogs! A slightly overdue comment on the header which has graced NEPA Blogs since last Wednesday. This is another winter view of Nanticoke, this time from the second story of my house! Get ready...this Wednesday brings the first-ever header photo from a well known local blogger! If you have a photo you'd like us to feature as the header image for a week, send it to us at nepablogs@gmail.com. Megan Baringer is new to Northeast PA. She moved here last May and is looking for some camaraderie from other local lifestyle bloggers. Hi! My name is Megan Baringer - I just moved to NEPA. I just started a lifestyle blog to follow my fitness and life through wedding planning and marriage. Thanks! We wish Megan a warm welcome to NEPA. Now everyone put down your pierogies and kielbasa and give her blog a read, heyna! Our PA Live! Blog of the Week this week is J.L. Kenney's Apropos of Nothing (http://thepixchick.wordpress.com/). J.L. Kenney is yet another wonderful photographer based in Northeastern Pennsylvania. 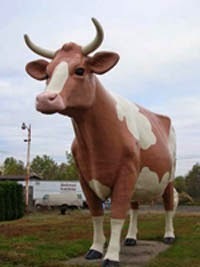 Apropos of Nothing is her* photo blog which features photos from Northeastern PA and beyond. Her photos have a rustic feel to them, even when there is no context whatsoever to justify this: photos of goldfish, power lines, a sailboat in Cozumel - all seem to convey a laid-back, easygoing air. In the same way that the many bloggers who blog in and about Northeastern Pennsylvania from myriad points of view help to create a more complete impression of NEPA, the many photo bloggers who photograph NEPA in numerous unique styles from numerous angles help create a literally more complete picture of the area, something which no single blogger or photographer could possibly do. 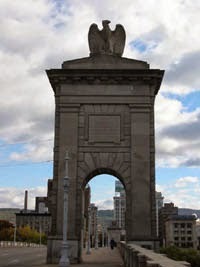 Check out Apropos of Nothing to see one of many points of view of NEPA and its surrounding areas. *I'm assuming J.L. Kenney is female. I may be wrong, but considering the URL is http://thepixchick.wordpress.com, maybe not. This may be old news to some, but two guys who had taken time-outs from blogging are back. Tom Borthwick took a sabbatical to run for school board and get married. He's back to blogging semi-regularly at http://www.tomborthwick.com. Tom's blog features topics about politics and writing. Frank Knorek retired his personal blog approximately a year ago. He's back again with a food review blog called "NEPA Culinary Review" which can be found at http://nepaculinaryreview.wordpress.com. According to the about page, the NEPA Culinary Review blog is your source for news and information surrounding the recipes, people, and places relating to good food and drink in Northeastern Pennsylvania. Take a moment and head over to their blogs and give a warm welcome back to the blogosphere. It's no secret I've been neglecting my duties on this blog for quite a while. With more responsibilities in my work and personal life comes less free time. I'm hoping to turn it around with better time management. Harold and I have talked about devising an editorial calendar so that the blog is not neglected for long periods of time. Please accept our apologies for lack of posts! We've received a ton of email with new blog additions and I figured it would just be easiest to lump them into one post to play catch up. Hello. Was wondering how to get my blog registered on your awesome site? Here's a blog by my "neighbors", Cathy & Barry Beck- accomplished photographers and fly fishing guides both here and around the world. Former WBRE and WNEP producer, Lycoming County native, now a military wife and mom in Georgia. This is a good variety of blogs - 2 from the Abingtons, one formerly of NEPA, a photography and lifestyle blog. If you know of a blog that we aren't already linking to leave us a comment or shoot us an email - nepablogs@gmail.com. Yes, it's preposterously cold right now, and maybe even a bit snowy, if the recent warm spell with temperatures in the 40's* didn't melt all your snow. But think positive thoughts! Happy thoughts! Valentine's Day is coming up in five weeks! 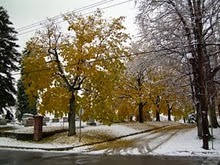 ...and here's a photo from the aftermath of the Valentine's Day Storm of 2007, when NEPA received over fourteen inches of "lasagna snow," alternating layers of snow, sleet, and freezing rain that were death to snowblowers, snow shovels, and spines alike. Do you have a more cheerful image of NEPA you'd like to share? 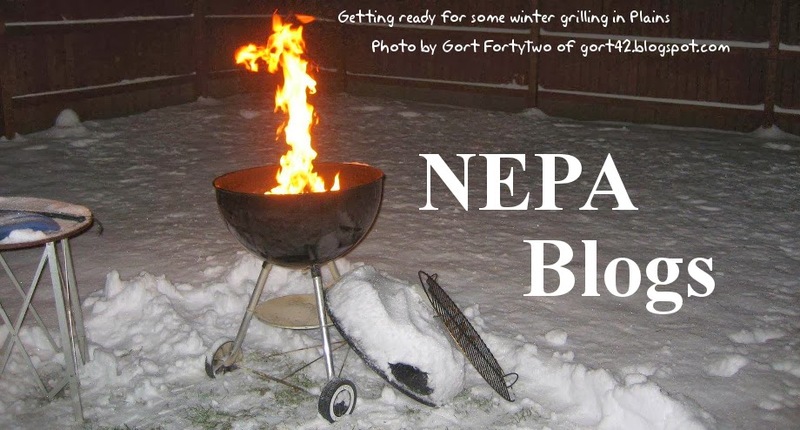 Send it to us here at nepablogs@gmail.com, and we'll feature it as the NEPA Blogs header photo for a week! *Fahrenheit; Australia is currently experiencing temperatures in the 40's Celsius, and they are not enjoying it. May as well start the new year by getting back in the habit of actually posting blogs! While we've got quite a backlog to work from, here's one that just came in today. I've recently came across Nepa Blogs and I was incredibly surprised since I didn't know that nepa have such a big community of blogs. My name is Caroline and I'm the author of Sweet Caroline's Corner, a little blog where I share recipes and other things about life. I would love if you could link my blog on Nepa Blogs! Hooray! 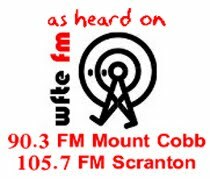 If you have or know of a blog from NEPA that we don't have linked yet, let us know and we'll get to it - hopefully, sooner rather than later! Let this sun pillar be a beacon of hope for the new year. Best wishes to everyone in their chosen endeavors. And keep on blogging! 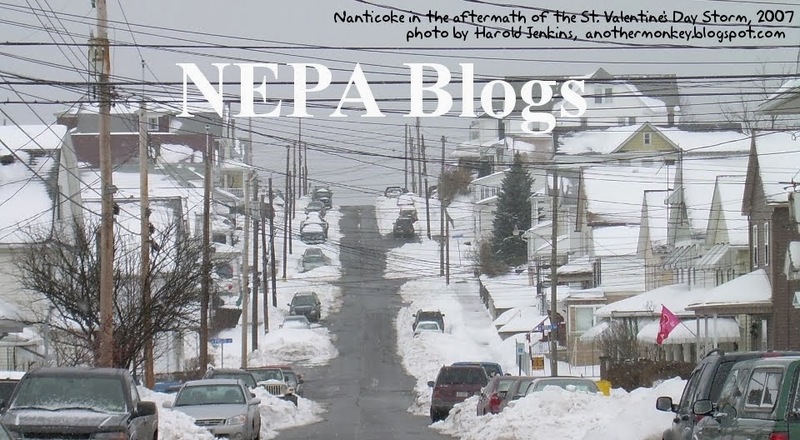 If you have a photo you'd like to see used as the NEPA Blogs header, send it to us at nepablogs@gmail.com. *A complementary effect can sometimes be seen at sunset. You can watch this episode on the PA Live! site by clicking here. Since December 2011, Michelle Hryvnak Davies has been sharing images of sunrises from her home in Sweet Valley. Beyond sunrises from Sweet Valley, Sweet Valley Sunrises also includes interjections of philosophy and quotes about sunrises, sunrise photos from other venues - even the occasional sunset! Sweet Valley Sunrises isn't just our blog of the week. New Year's Eve is also Michelle's birthday, and I wanted to take this opportunity to thank her for breathing life back into NEPA Blogs. Without her, NEPA Blogs would have withered away a long time ago. I realize I haven't been as diligent with updates as I should have been lately, and my biggest concern with that is that in my neglect I am disappointing Michelle. I will strive to do better in 2014. Sunrises symbolize hope for a new day. In the same sense they can be seen to symbolize hope for a new year! Feel hopeful about 2014 - check out Michelle's sunrise images on Sweet Valley Sunrises!